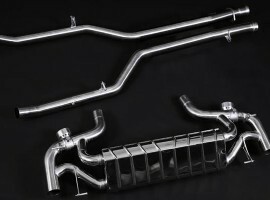 SKU: PKG.88.197.SLS.DTMW. 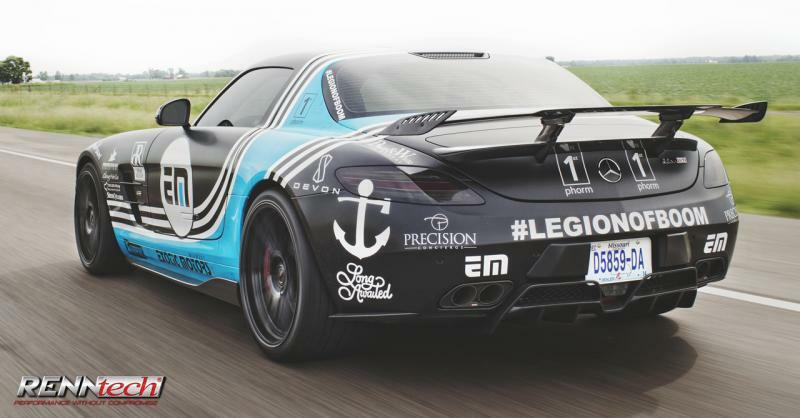 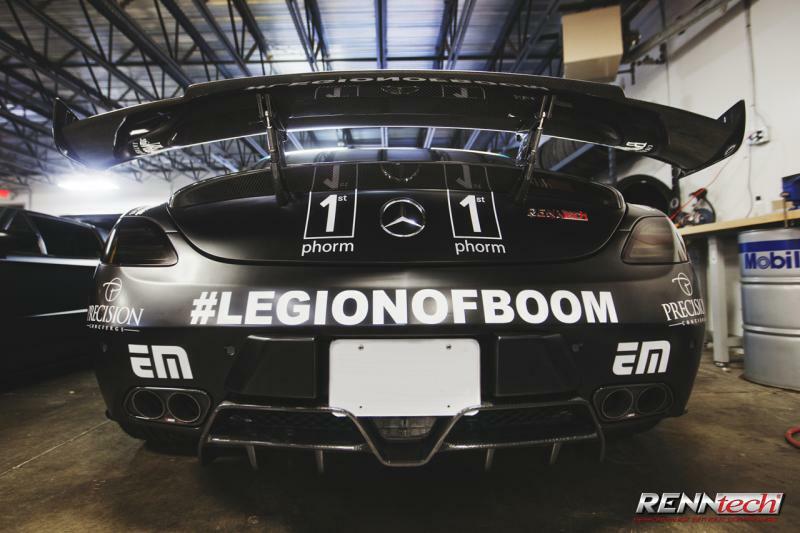 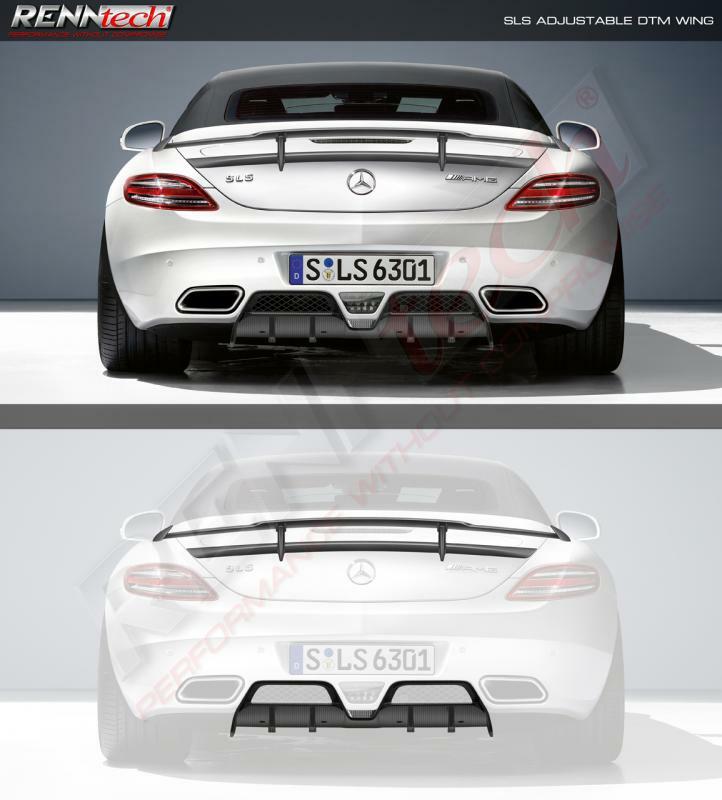 Categories: SLS AMG (2011-2014), SLS AMG GT (2012-2014). 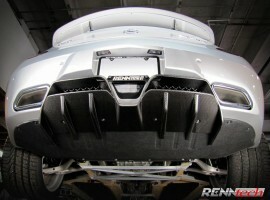 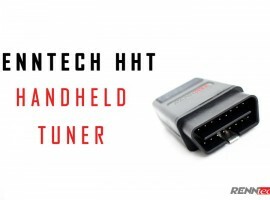 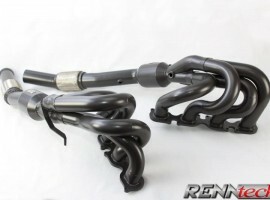 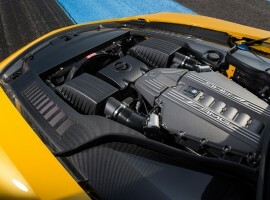 RENNtech set an objective to develop and create a state-of-the-art fully adjusting wing for the Mercedes-Benz SLS AMG. 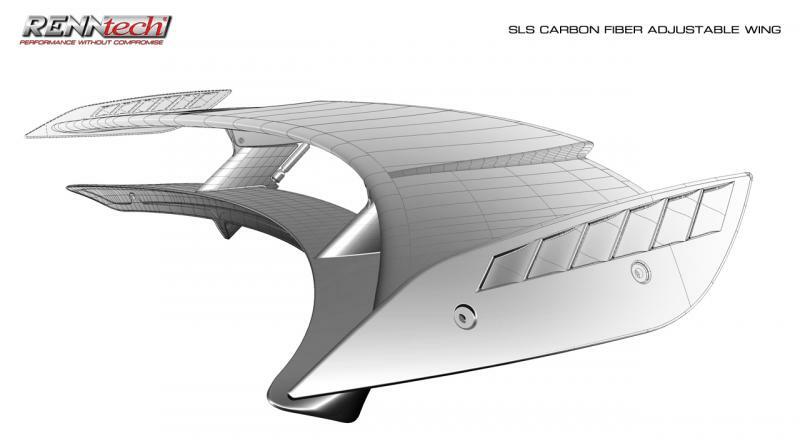 The result can be summed up in one simple phrase, functionality and quality without compromise. 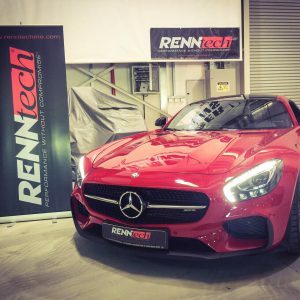 RENNtech’s engineering and design teams spent countless hours perfecting the aerodynamic properties and aesthetic details of the entire wing assembly. 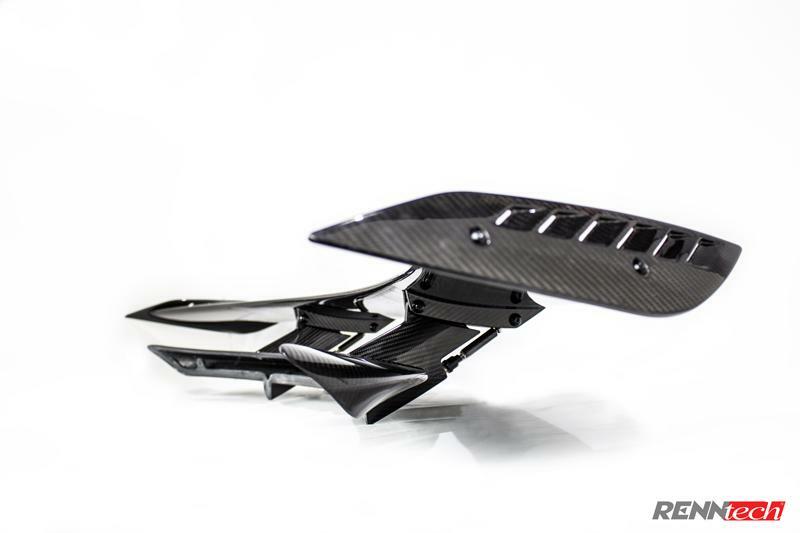 In order to properly develop such a superior product; RENNtech utilized 3D white light scanning, the latest in CAD surfacing technology, and rapid prototyping via industry leading Stratasys Fortus SLA machines. 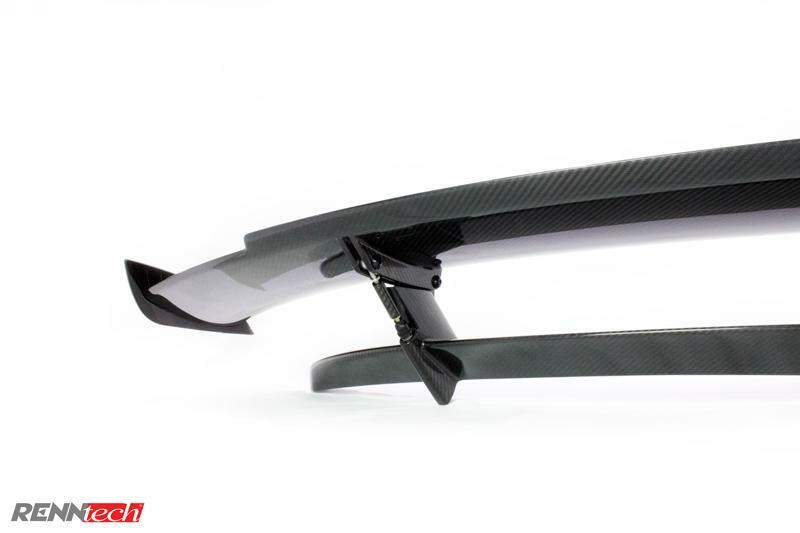 The adjustable wing is comprised of a decklid lip spoiler that sits just aft of the factory retractable wing, which is now static. 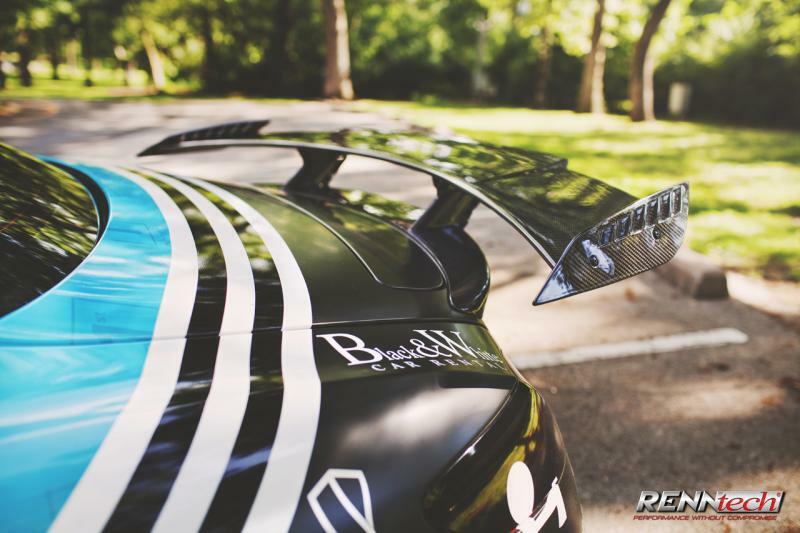 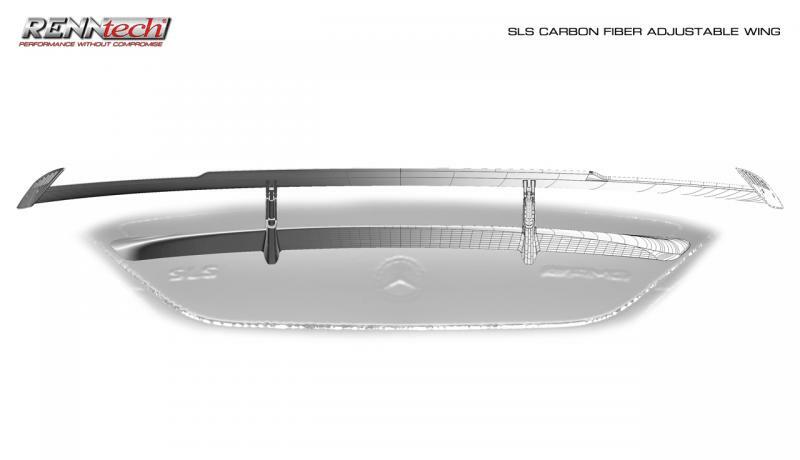 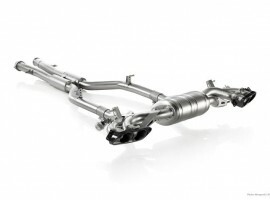 The lip spoiler features two highly integral stanchions which serve as both the connection to the upper wing element and the location of adjustable carbon fiber struts. 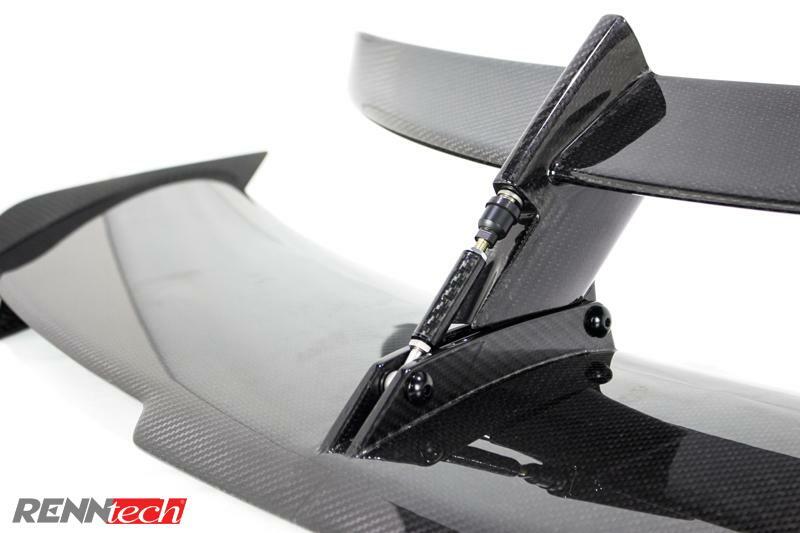 Greatly improved downforce is provided predominantly by the centerpiece, wing element. 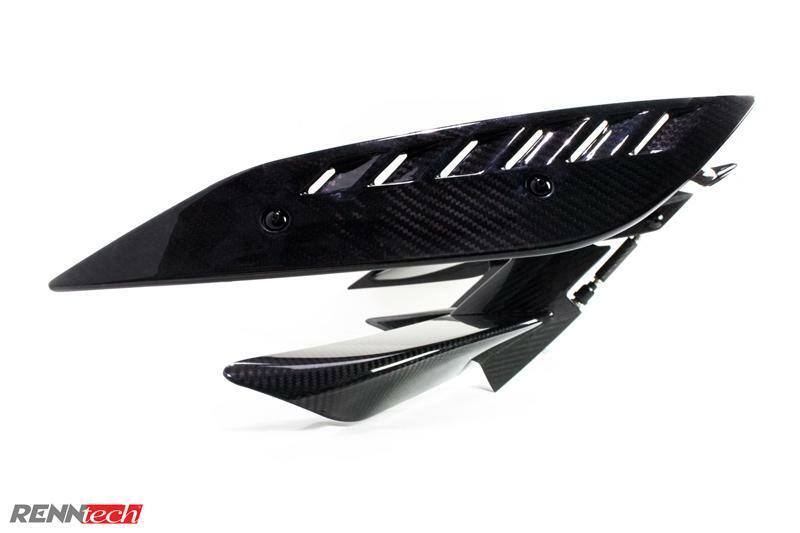 The center section of the wing gradually pulls rearward and sharply terminates to further increase functionality. 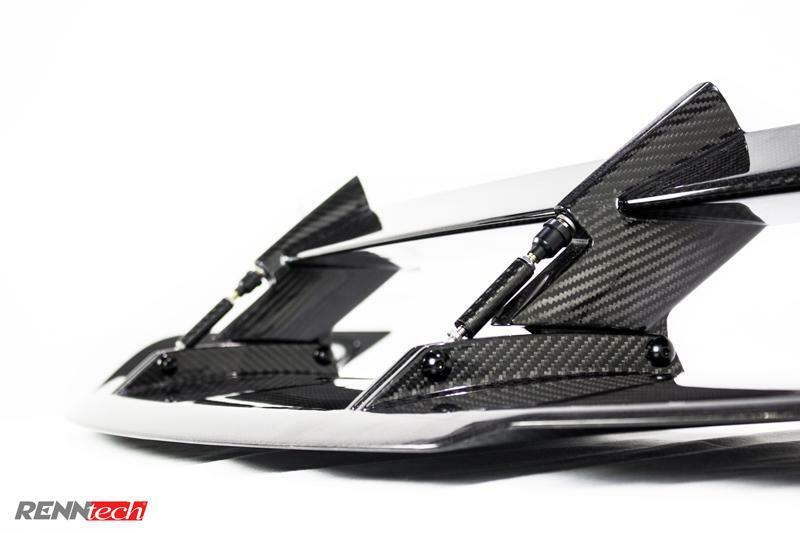 The latest in aerodynamic developments inspired extractor elements which are unmistakably unique styling features integrated within the 100% carbon fiber end plates. 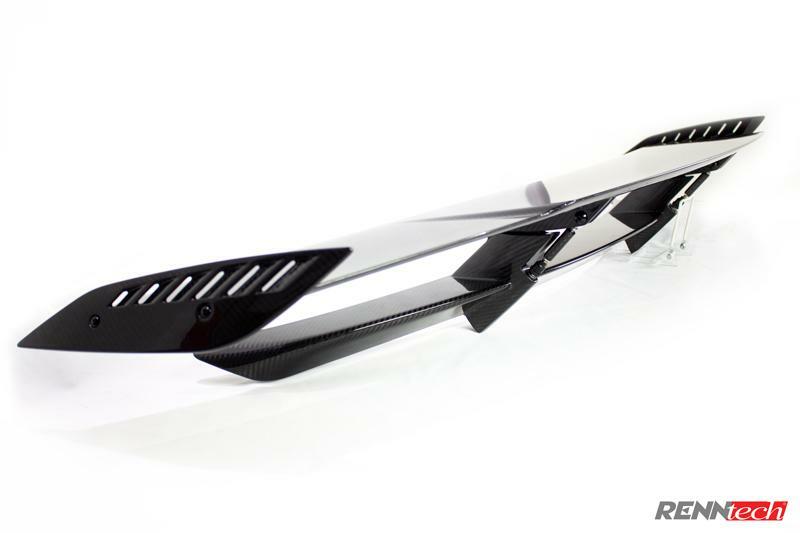 These extractors reduce drag by pulling air flow from the top surface of the wing, out through the sides of the end plates. 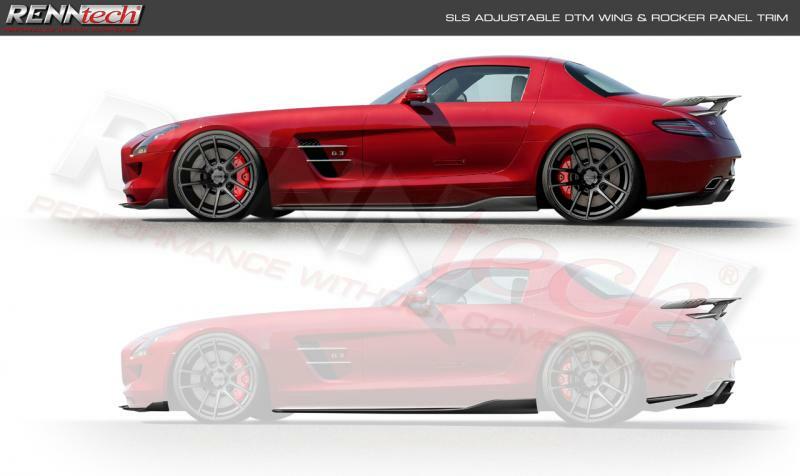 The RENNtech wing features an OEM level of quality; in addition to perfect fitment to the SLS factory decklid. 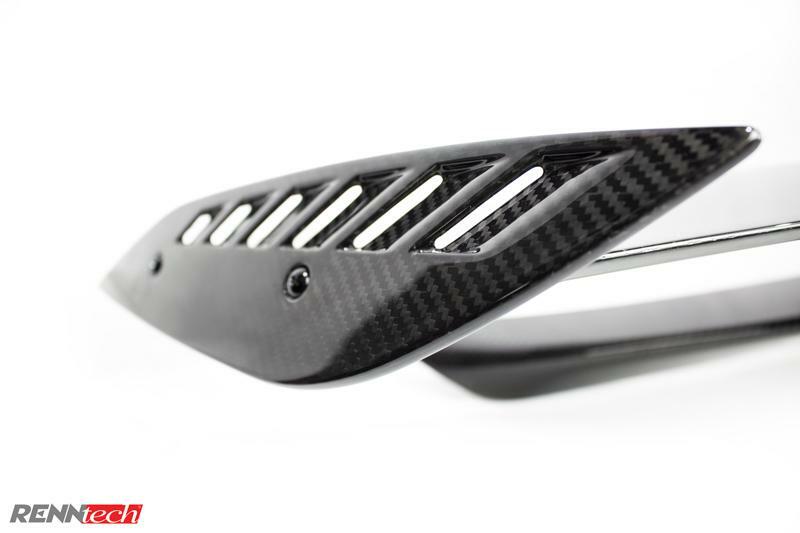 This optimal level of quality and fitment accuracy is achievable through multi-piece pre-preg carbon fiber tooling. 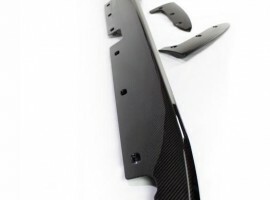 This high temperature pre-preg carbon fiber tooling yields exceptional results and superior surface quality. 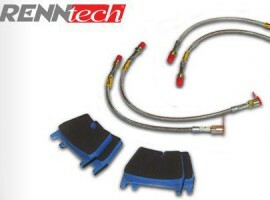 Furthermore, extremely tight tolerances are attainable within thousandths of an inch. 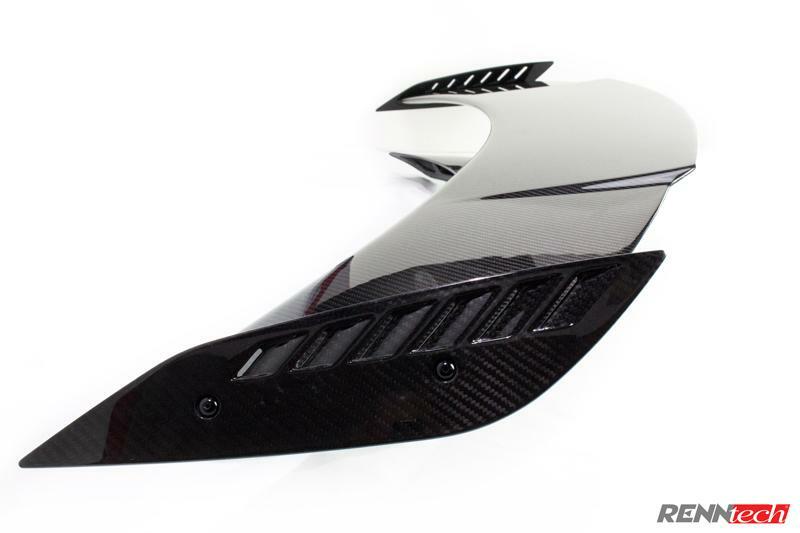 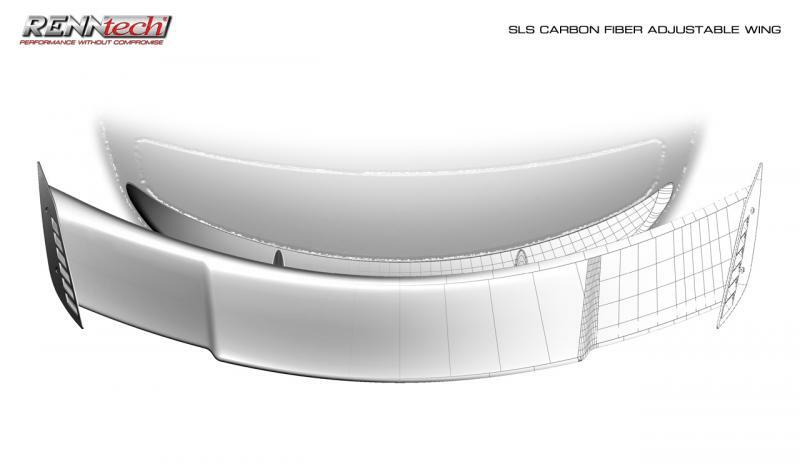 Finishing of the carbon fiber parts comes in the form of a high gloss UV protectant coating. 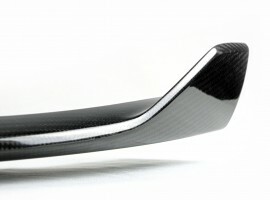 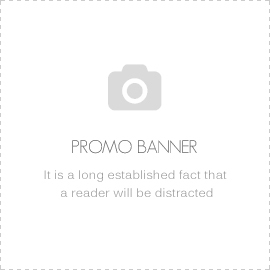 Matte finish is also available per special request and may require additional lead time. 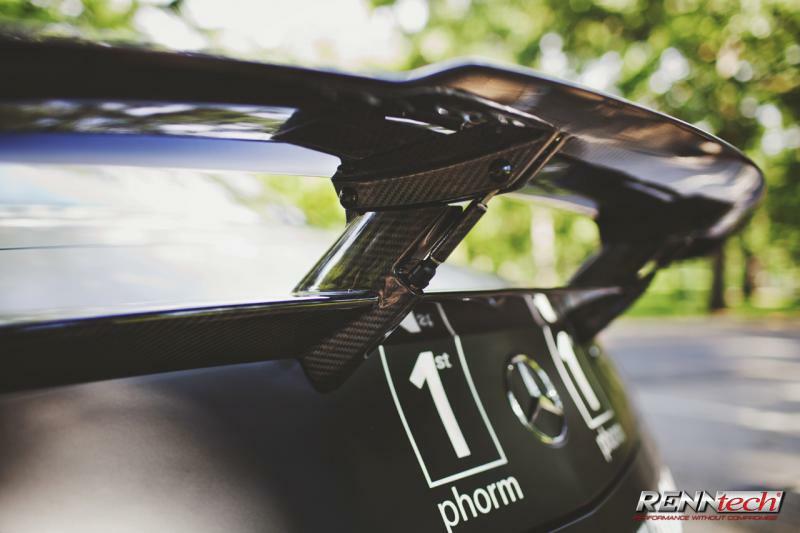 The SLS Adjustable Carbon Fiber wing will fit all SLS AMG models except for vehicles fitted with the factory Black Series wing.